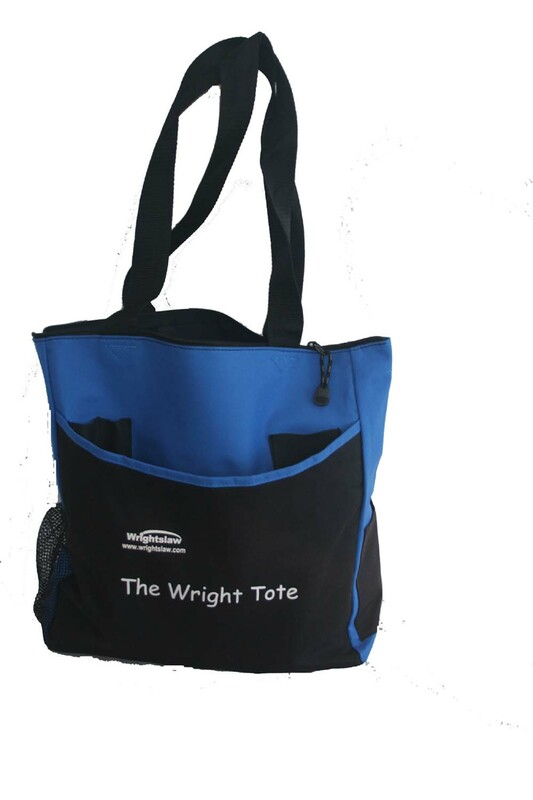 It's in the bag with...The Wright Tote. Special pricing on advocacy supplies - save 25% or more. 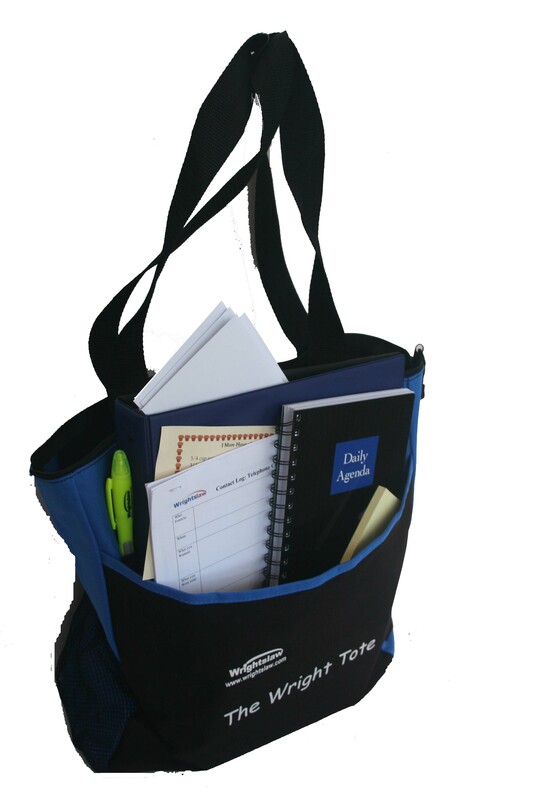 Need to get organized before your next IEP meeting? Carry confidence in The Wright Tote. The perfect size for on the go storage and organization of your child's records, special eduation file, and IEP notes - all in one place! 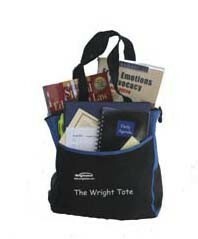 When you take The Wright Tote to your next IEP meeting, you'll know the power of getting organized! Made of durable 600-denier polycanvas. Wrightslaw Price: $12.95 - you save $7.00! 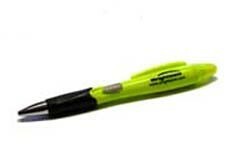 Pen and highlighter combo features a colorful plastic barrel, black rubber grip and shiny silver tip. Ballpoint easily clicks into action with the convenient thumb-slide retractor on the side of the pen. Wrightslaw Price: $1.95 - you save $1.00! *Order 10 or more and pay $1.56 each! Recipe Cards for: 1 More Hour of Services Chocolate Chip Cookies and Team Building Truffles. 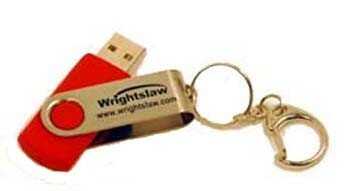 Wrightslaw Price: $29.95 - you save $10.00! A great way to store or transfer your data. Easily carry up to 1 G of data on a key chain. Compatible with windows 2000, Me, XP or Vista. Size: 5/8" x 2-1/8" x 1/2"
Wrightslaw Price: $14.95 - you save $3.00! 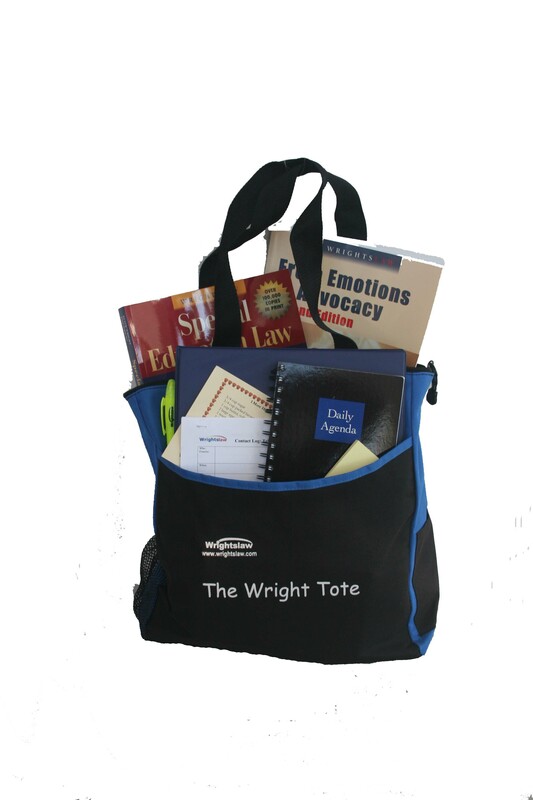 Wrightslaw Price: $69.95 - you save $10.00! Great prices on our Best Sellers! Buy two or more Wrightslaw books - and save today! We also offer great savings on larger orders. Bulk discounts available.